As you may have noticed, the war in 1864 is very important here in Sønderborg. The battle on Dybbøl hill on the 18th of April is the most famous event of the war and it is marked with a military ceremony every year. The assault on Dybbøl led to a peace conference in London, which led to nothing. The war broke out again and on the 29th of june, Prussia attacked Als. The battle was a crushing defeat for Denmark and it has largely been forgotten since. 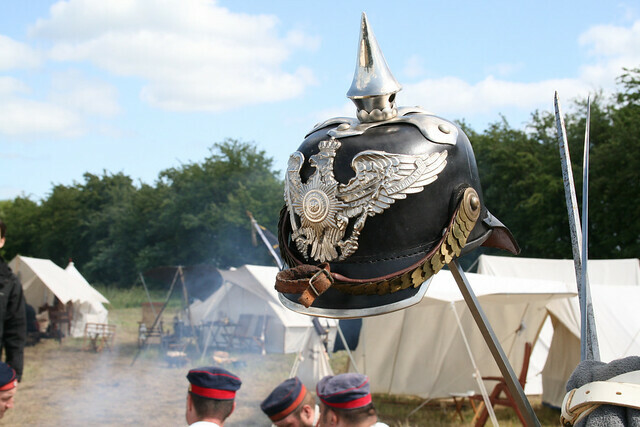 This weekend, Historiecenter Dybbøl Banke reenacts the battle. We begin Saturday at 11.00 with a parade from the castle through Perlegade and up to Rønhave plads. There will be Danish and Prussian soldiers, horses dragging canons and women in beautiful dresses. At 14.00-19.00 the soldiers camp (drive to Burger King and follow the signs) opens. There will be stories about the war and the people who participated, battle demonstrations and much much more. 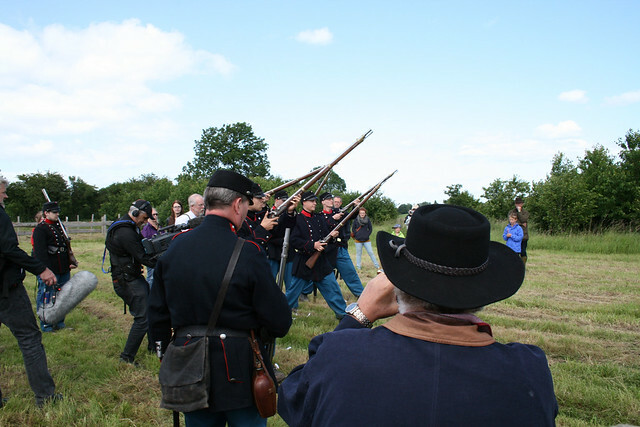 Sunday morning at 03.00 we reenact the battle at the historically correct time. Prussian soldiers sail across the water and defeat the Danish army. This is a spectacular experience that you should not miss. Again, drive to Burger King and follow the signs. 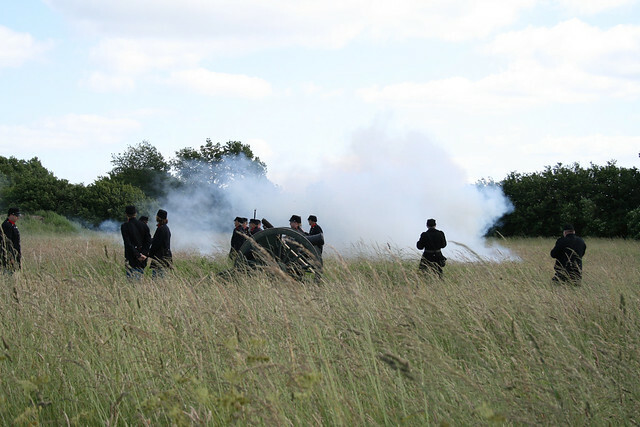 The soldiers camp opens again Sunday 10.00-19.00. Entrance for the entire weekend is 50 kr. I hope to see you there! 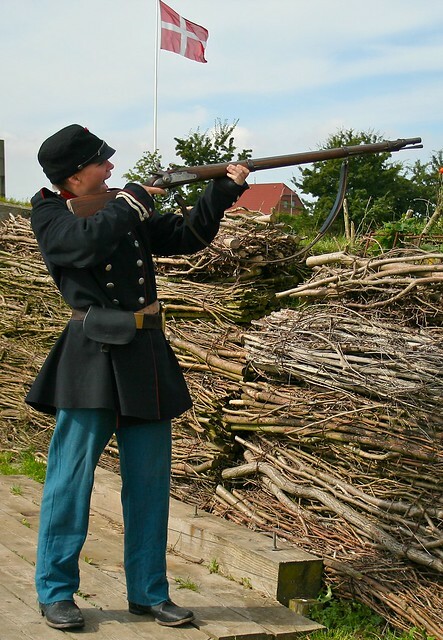 At the same time, Sønderborg city hosts a new event called 1864dage. The city will return to 1864 and there will be a market and several other 1864 events. It should be very fun and much less formal than the ceremony on the 18th of April. The Battle of Als is a yearly reenactment, although this year will be a particularly special event with it being 150 years since the events. 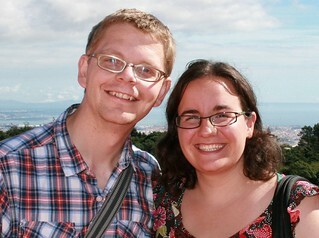 You can read more about our experience last year. You can also read more about this year’s programme here. This entry was posted in Events, Outdoors and tagged 1864, als, Battle, Dybbol Banke, Historiecenter, Kampen, Markesdage, reenactment, war by Ann. Bookmark the permalink. Altid en fornøjelse at læse din blog.